As working professionals, our students have diverse experiences, skill sets and needs in their careers. Because of this, we take a broad view of career services, encompassing not only the job search, but also helping students develop those leadership and career skills that will help take them to the next level. We work individually with students on the issues that are most pressing for them in their careers. One-on-one appointments take place in-person on our Falls Church campus, over the phone and virtually using WebEx or Google Hangout. We can also accommodate students who only have time for email communications. To set-up an individual session, please email the Associate Director, Career Services and Alumni Relations. The MBA Career Mentor Network was launched in 2014 in conjunction with the MBA Alumni Board. Since its launch, the network has matched over 100 MBA students to mentors from our pool of 150 alumni volunteers. 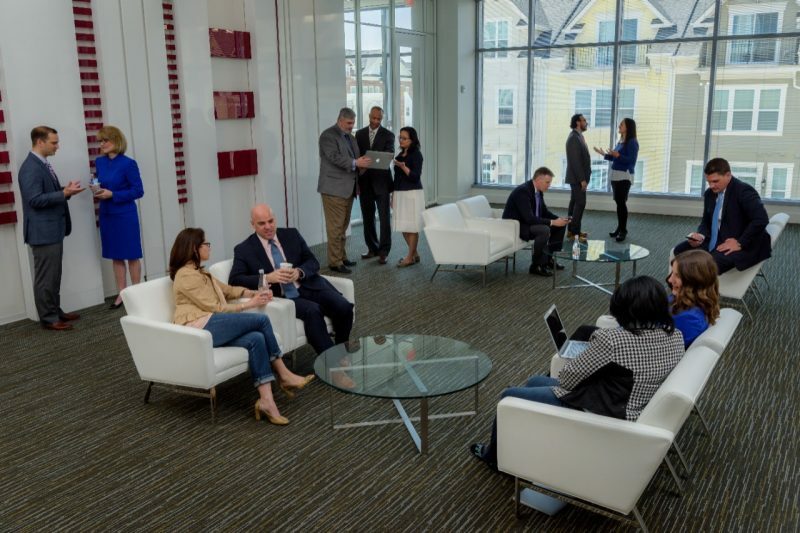 Mentoring opportunities are located in areas where we have an MBA campus location—Northern Virginia, Richmond and Roanoke. If you would like to be involved as an alumni mentor or a current student mentee, please email the Associate Director, Career Services and Alumni Relations. Resumé Guide: Your resumé is more than just a list of tasks. It should tell the story of your experience and skill set to date. With that in mind, this guide introduces you to the Situation-Action-Result Framework, which is a method to think through everything you’ve done, select the most relevant parts and write a compelling resumé bullet point to convey your experience. Cover Letter Guide: Cover letters are often an afterthought to many job seekers. However, many recruiters expect to see a cover letter as part of the application package. This guide shows how to use your cover letter as an additional opportunity—outside of the resume—to pitch yourself for the job opening. LinkedIn Guide: LinkedIn is a networking tool and a marketing brochure, designed to help you take your career to the next step. If you’ve never paid too much attention to LinkedIn, this guide will give you a good start to the basics.